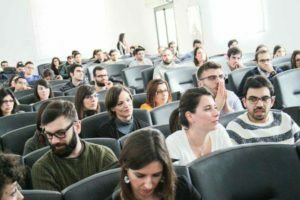 Last March, AEGEE-Cagliari organised a seminar on entrepreneurship, giving students the necessary knowledge to start their own start-up. For this reason, they were chosen as the ACTive Local of the Month. We spoke to Francesca Zorcolo, President of the local, to find out more! Francesca: This award is really a surprise for us, thank you so much Action Agenda Coordination Committee (ACT)! AEGEE-Cagliari was “born” in 1995 and so far we are the only antenna on our beautiful Sardinian island (we are working on that as well). Currently, we have about 110 members, among which 40 active one. We work in a constant and active way at the local level to promote the principles of AEGEE-Europe, and also at the European level we try to be present as much as possible! 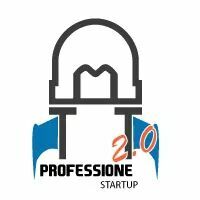 You have organised the “Professione Startup” seminar. Can you tell us more about your event? The seminar lasted for two days, one focused on theory and one focused more on practice, with the goal to give a thorough knowledge about the profession of entrepreneur. We invited several experts and consultants in the business field, who started their work on our island and were recognised for their innovation power. During the first day, purely theoretical, these experts gave lectures in front of the participants. The topics, chosen by us and tackled by the experts, were how to start a business and make it stand out in the start-up national environment. 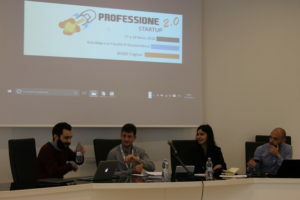 The experts in this field explained the start-up world basics and its internal processes such as working stages; research of team members; colleagues’ relationship; how to best motivate the team; working methods and how to best advertise one’s business or product to the consumers. These highly trained and engaging experts succeeded in depicting the current job market and how we, with our ideas, can shape the future. On the second day, March 18, the participants were involved in a workshop in which they put into practice all the skills learned on the previous day. The group work, carried out by the participants, was based on specific practical cases taken from the business world such as identifying products that make elders’ life easier or finding services suited to redevelop historic goods and local products. It was without any doubt a great occasion to challenge ourselves and be in the shoes of an entrepreneur developing brilliant ideas for start-ups in a full learning environment. Why did you decide to organise this seminar? The idea for a “Profession Startup” came in 2015, following the desire to give young people alternative methods for their employment. We also wanted to offer a new perspective for all the people that wish to create their own business and realize their own ideas, but do not know how to start. Our main goal, besides offering important info and first-hand accounts by field experts, was to create and develop some useful practical skills for the participants so that they could challenge themselves and compare their own ideas. Unfortunately, because of the current university system, students do not have many chances to engage with self-made businesspeople. The opportunities for youngsters to develop group-work skills and to challenge themselves in those practical jobs that mirror the activities of a start up are not enough. For this reason we decided to fill this gap with our work, passion and goodwill. This is the second edition of the programme, which we decided to propose again, because last year we received so many positive feedback. Our desire is to keep on developing this programme, by examining the topic, in every edition, in new and different ways and perspectives. 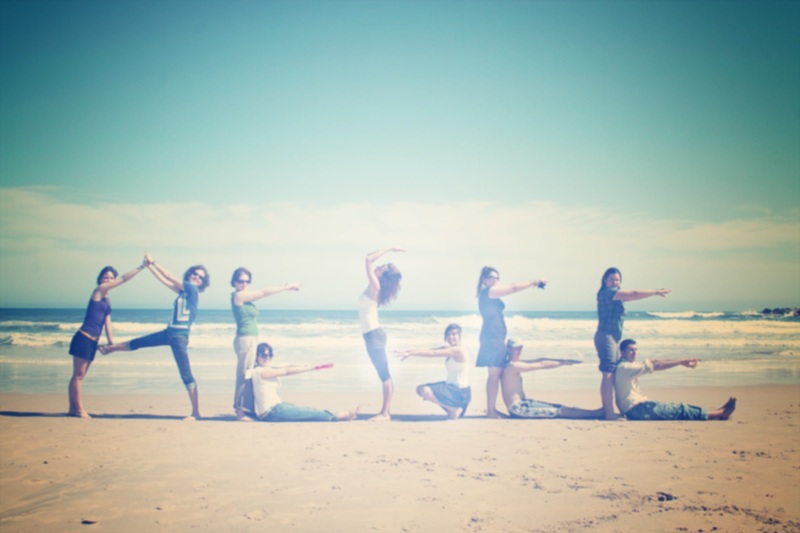 50 students from the University of Cagliari participated in an active way. Their favourite session was the workshop in which they were able to put into practice, in a business case scenario, the theoretical knowledge acquired the previous day. At the end of the workshop, every group presented its own project to the other participants, having the opportunity to receive feedback and compare their works. Moreover, we wanted to deliver the message that start-ups are suitable for all, not only for students of Economics. Intelligence does not need to be studied, all everyone needs is will, hard work and having a dream. A great example of that is the life of one of our experts, which aroused great admiration among the participants. This person started by being a liquor seller and although he did not hold a degree, did not have many financial means and did not work in a friendly environment, succeeded in designing and developing an internet application, which today is downloaded in every corner of the world and translated in more than 20 languages. yourself into it! You are going to feel much more as a part of the network”. We put passion in everything! 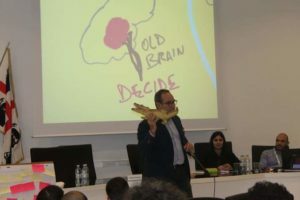 The AEGEEan also covered AEGEE-Cagliari’s entreperneurship’s seminar in another article. To know more about this seminar, click: here.